· Craftsman built & beautifully maintained, this spacious 4 Bedroom Home on 15 acres boasts fine living combined with its awe inspiring views. 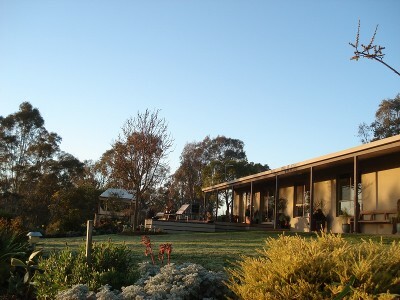 · Vast views across Mansfield Township and rural farmland to the districts surrounding mountain ranges · Bright and Contemporary family living area opening to alfresco decking to soak up the sunshine and High Country Atmosphere · Superb Contemporary Hostess Kitchen with quality appliances and granite benches. · Master bedroom boasts large walk through robes to en-suite · Zoned Floor Heating & Reverse Cycle Split System Air-conditioning. · Beautifully established low-maintenance gardens surround the home adding cheery colour from every window · R/ C Door Garaging for 3 Cars plus concrete floored 50 x 20 shedding and adjoining stables · On Mansfield townships edge and nearby to Lake Eildon, Mt Buller, State Forests and National Parks! · Call us today to arrange your inspection of this fantastic property.